This year it’s time for the one of spring’s best luncheons. The 19th annual Ballet Austin Guild’s “Women On Their Toes” annual spring event honors outstanding volunteers from Austin area non-profit organizations with the proceeds benefiting Ballet Austin. It all happens Thursday, April 25, 2013 from 10:00AM to 1:00PM. at the Renaissance Austin Hotel. This year the gathering theme is ‘White Magic: The Grace of Giselle’ and since it is attended by more than 400 patrons, the event is always a favorite of the Austin’s Social Set. It will culminate with a dynamic fashion show, “The Life of a Lady,” produced by Neil Diaz Presents and following the fashion show, several raffle packages, each worth thousands, will be awarded. We love that each year Ballet Austin Guild invites area non-profit organizations to nominate their most exceptional volunteers, the women and men who go above and beyond in their efforts and accomplishments on behalf of the organizations they tirelessly serve for the betterment of the Austin community. “Women On Their Toes” is an annual opportunity for Ballet Austin Guild to shine the spotlight on their invaluable work, celebrate their passion for volunteering, and highlight the diversity of the non-profit community in Austin. Divine Canines -- Heidi Armstrong, Assistance League of Austin -- Cindy Fellows, Superhero Kids -- Samia Joseph, Austin Humane Society -- Lisa Kennedy, Keep Austin Beautiful -- Linda McCoy-Schriever, Austin Jewish Film Festival -- Cindy Pinto, New Milestones Foundation -- Rev. Susan Hawkins Sager, Dress for Success -- Lin Scheib, Center for Child Protection -- Karen Shultz Health and Alliance for Austin Musicians -- Tim Taylor. 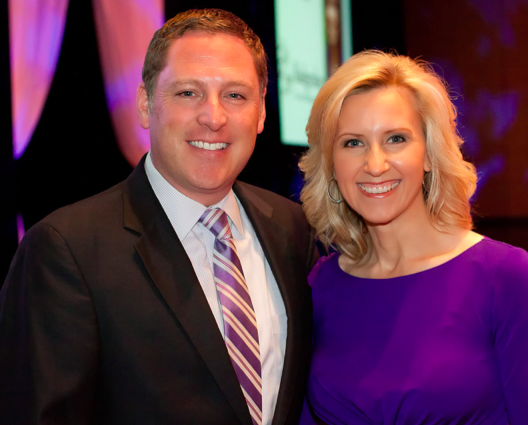 We love that this year’s special guest hosts are Tyler Sieswerda & Terri Gruca from KVUE who will present this year’s honorees. Tickets are $100 per person. Table sponsorships are available starting at $1,250. For more information, visit www.balletaustinguild.org or emailwott@balletaustinguild.org.